For Japan’s top 2000 or so Duelists. 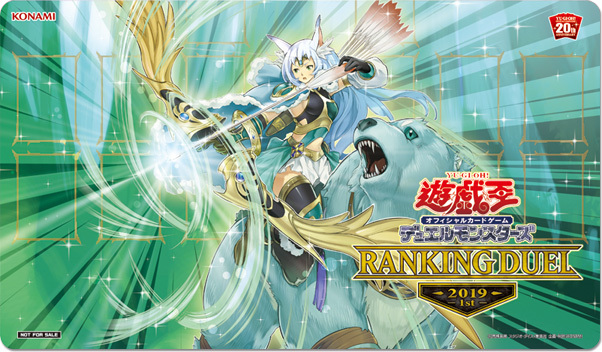 The monster is listed by Konami as “召命の神弓－アポロウーサ ” which is something like “Conjured Divine Arrow – Apollou(r)sa”. The monster’s name is apparently a Greek epithet for the moon goddess Artemis, meaning “The (lady) destroyer”, but you’re unlikely to find it in an online English source. Any fans fluent in Greek who could correct us on this spelling would be *much* appreciated, and should contact us on Discord, Twitter or Facebook.